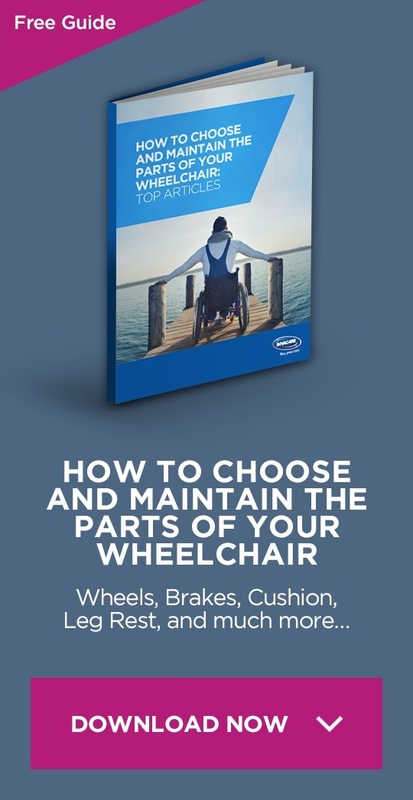 What do you need to know to make an informed decision on wheelchair tyres and rims? Manual wheelchair frames are designed differently for a variety of functions; including everyday use, recreational and competitive sports activities. 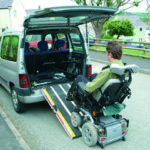 An important part of the wheelchair assessment and prescription process is choosing the best wheelchair rims and tyres to compliment the wheelchair for optimal use. One of the most important questions to consider is where and how will the chair be used. Indoors? Outdoors? Both? Over gravel? Smooth surfaces? Grass? Are you willing and able to manage a pneumatic tyre? The advantages of a lighter weight air filled tyre will require an occasional tyre change sometimes at inopportune times. Air filled tyres perform optimally with a small amount of maintenance including checking the air pressure on a monthly basis and adding air if needed. Being able to change a flat tyre in the midst of your daily activity is a requirement. It is ok to decide that a pneumatic tyre is more than you want to manage. This is a personal choice with no wrong answers. However, this information will be an important part of your decision making process when choosing components for your custom wheelchair. There is also the consideration of cost of the tyres as well as the cost of replacement. Replacement will depend greatly on use. Weight will vary depending on tyre material. Of course, a heavier tyre will add overall weight to the wheelchair and rolling efficiency. 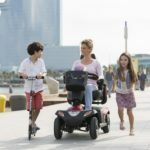 Tyre Size can greatly affect the rolling efficiency and overall performance of the roll-ability of a manual wheelchair. A slim tyre will have decreased surface area which means decreased drag on smooth surfaces. A wider tyre (mountain bike knobby tyre) will have increased surface area and increased drag on smooth surfaces. HOWEVER, a wider knobby tyre is optimal over grass, gravel, rocky, and uneven terrain. Tyre Tread is important depending on the environmental surfaces you will navigate on a regular basis. Solid tyres do not typically have significant tread which can make them slick and slippery on wet surfaces. Other tyres will offer a “hybrid” design where there is some tread to offer you both indoor and outdoor performance. There are tyres with a “knobby” tread that offer “off-road” traction for active users. Note that some tyres have a directional tread for optimal performance. 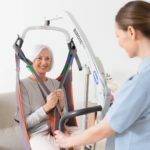 Aesthetics is a consideration, while you balance that with cost, and optimal performance for your wheelchair needs and activities. There are four general categories of tyres. We will discuss each below with regard to tyre design, tread, and maintenance that affect performance. Is an air-filled tyre, mainly used by active users and in wheelchair sports. A “tube” filled with air, offers a lighter and more cushioned ride (shock absorption) improved traction, with a grip on wet surfaces. The greater the pressure inside the tyre the less resistance and the firmer the ride. It works great on hard smooth surfaces and is good for speed. However, pneumatic tyres will go flat if not maintained. General maintenance is required. This means you will need to pay more attention to running over jagged surfaces, glass or other debris like nails that can puncture the inside tube. In general, check the tyre pressure every four weeks. Pressures can change depending on where you live (atmospheric pressure/altitude). Foam filled- there are two parts to this tyre- the airless insert and the tyre itself. The airless insert is composed of a soft polyurethane rubber. The polyurethane is cured and it creates a soft, resilient rubber core with flex so that it performs more like an inflated tyre. Note, this airless insert adds weight to the tyre assembly. This is “special” tyre, good for indoor/outdoor use. It has a high PSI and therefore a lower rolling resistance. The tread has semi deep grooves. Puncture “resistant” means that it is hard to puncture, but could go flat if rolled directly over a sharp object. The advantage of the tyre is that it can last 18-24 months. An example would be a “Kevlar” tyre in which the kevlar fibers spun in a particular way create a shield between the tyre and the inner tube to make it puncture resistant. These are fully puncture proof solid urethane tyres that do not require maintenance nor air. These tyres do not have the same “give” as pneumatic tyres making them less effective on rougher terrain. They are heavier tyres that are suitable for the end user that is not capable and/or interested in maintaining a pneumatic type of tyre. Remember, your therapist and supplier will be able to provide you with insight into the tyre, rim and handrim selection that best matches your functional mobility needs.